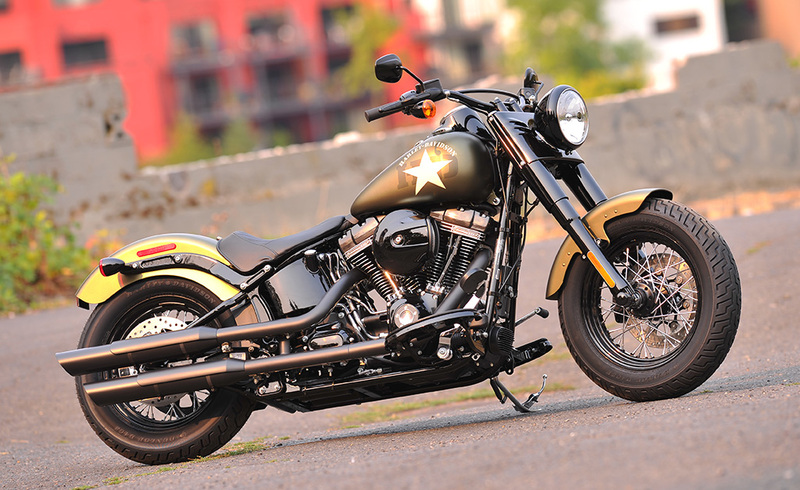 The 2016 Harley-Davidson Softail Slim S will have two different color options, Vivid black, and Olive Gold Denim, and each will have a different price point, starting at the base price of $18,499. These bikes will be used to introduce the new trademark. At the base price, the bike offers an unmatched experience for riders. The engine will have the screaming Eagle Twin Cam 110B as its reliable source power. The displacement will be at 110 cu, equal to 1801cc. The engine will also have an increased capacity that creates the high-flow air with a cleaner mechanism. The exhaust will be dual shotgun shaped. For the cylinders’ measurement – there is the new 101.6mm X 111.1 mm V-Twin that allows the rider to access the ESPFI system charge. The ESPFI system, Electronic Sequential Port Fuel Injection, serves an impressive bottom-end engine. All riders know that the hydraulic clutch has an important role, and this new motorcycle edition is engineered to optimize it. The riding experience will be powerful with the new clutch and make low-speed maneuvering smooth. The 6-gears transmission can keep the RPM steady at its highest speeds. To operate the dependable cruise control – there is a single button on the left grip. The definition of the whole engine is highlighted on this bike, because of the black and chrome color combination. The 2016 Harley-Davidson Softail Slim S will have a lightweight body, at only 712 lb. There is one concern about this bike, the ground clearance, the distance seems too short to ride over uneven roads or to make a sharp turn. Nevertheless, as far as major experts are concerned – this next generation from Harley will be a fun motorcycle to ride. Recently, it was reported that the new 2016 Triumph Tiger Explorer series was in its final testing stages, and based on our estimations, the release date for this bike will be in the first half of 2016. Design improvements include new wider handlebars to give the rider added control in any road condition. This bike is designed to be an adventure class motorcycle, which is the reason for its high riding position. Another reason for the dominant and high riding position is that it provides wide and clear visibility for all road conditions, to help riders maneuver around obstacles. This bike eliminates fatigue and stress that is common during long hours of riding, with its new cruise control. As for the technological features, this bike will have a LCD along with an adjustable windscreen. This new off-road beast will have a decent displacement capability of 1215cc. The engine will be the latest version, liquid-cooled with fuel injection, along with the DOHC that can deliver output power of around 137 horsepower and torque of around 89 lb-ft. Performance enhancements for this bike use the ride-by-wire technology that will minimize the bumps and jostles better than any other technology type. Meanwhile, the transmission setting will have the new reliable six-speed gearbox with the accompaniment of a low-maintenance shaft drive system. All of the new units in this upcoming series have MSRP set at $17,499, and will be available in two different colors, Matte Khaki Green and Graphite. The new bikes will come with a one-year unlimited warranty for the replacement of parts. 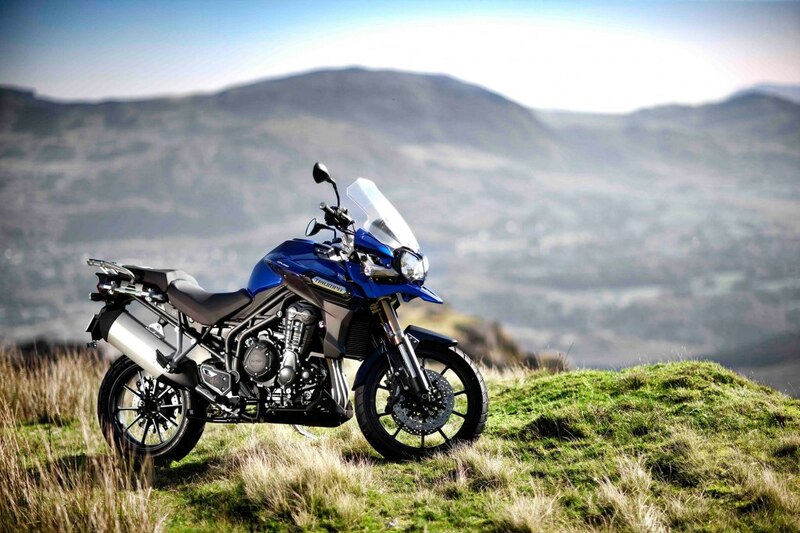 All the best things about an off-road bike are included in the 2016 Tiger Explorer series, so it’s no wonder why plenty of off-road enthusiasts are shifting their interest to this new Triumph series. With a fuel tank that can handle 5.3 gallons – there should not be any issue riding this motorcycle between different cities or in the countryside. One of the most important details to know is that the frame includes a tubular steel trellis frame to offer unbeatable strength and protection for the rider.